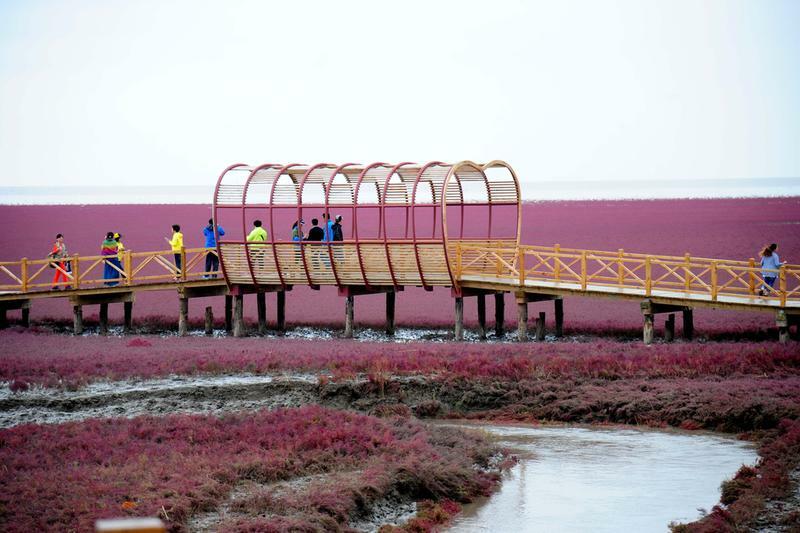 Visitors watch full bloom red crabapple at Red Seabeach on September 14, 2014, in Shenyang Panjin, Liaoning province of China. Red Seabeach located in the northwest of Bohai Sea Gulf with over 200,000 square meters. The Red Crabapple blooms annually after autumn and looks like sunglow. 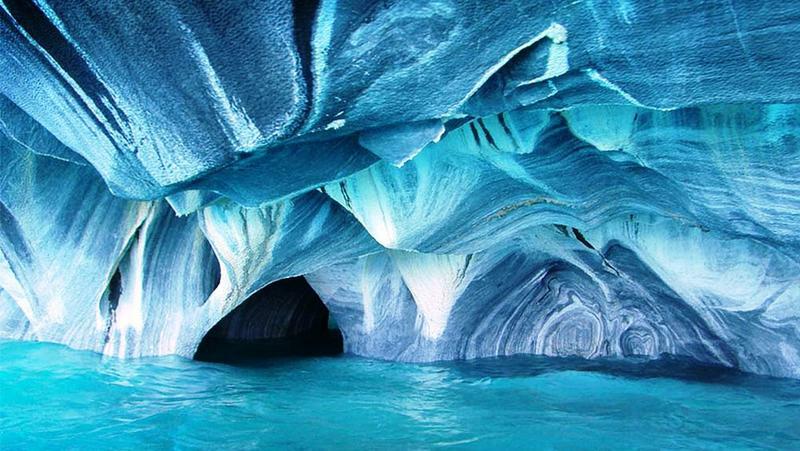 There are many unimaginably beautiful but unusual places around the world. How are these magnificent places created? 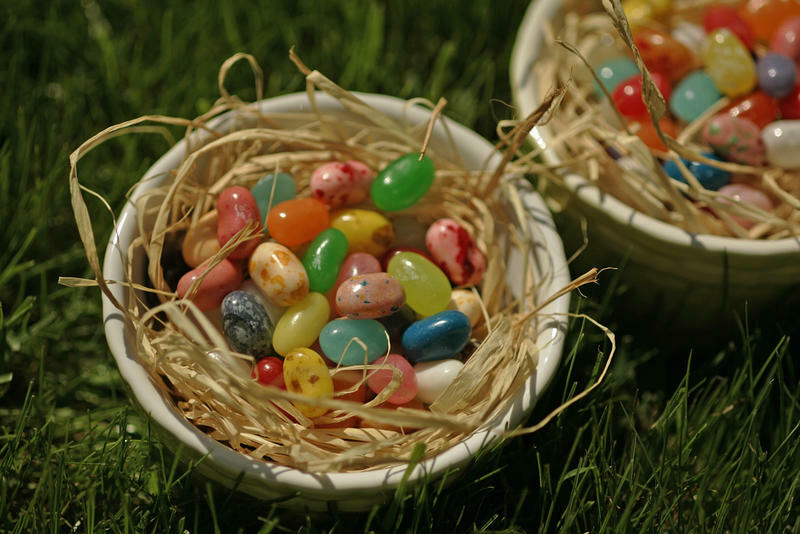 This virtual tour is just enough to whet your appetite for more. As you can see, this vast unusual red sea of the plant Suaeda salsa draws a lot of visitors. Considered to be the biggest wetland and reed marsh in the world, it is located in Dawa County in China. One of the few species of plants that is able to live in a high alkaline soil, the Sueda turns a light red color in April, at the beginning of its growth cycle, and then, as it matures, it turns a dark red. Created by years and years of wave erosion, the rippling patterns caused the marbled outcome you see in these caves located in Chile. The effect is enhanced further by the blue-green water that reflects off of the lake, Lake Carrera, which is not far from the border to Argentina. In the center of this lake are not only the Marble Caves but also Marble Chapel and Marble Cathedral, which are unusual geological formations as well that include tunnels, columns and caverns. Where did these huge stones come from? 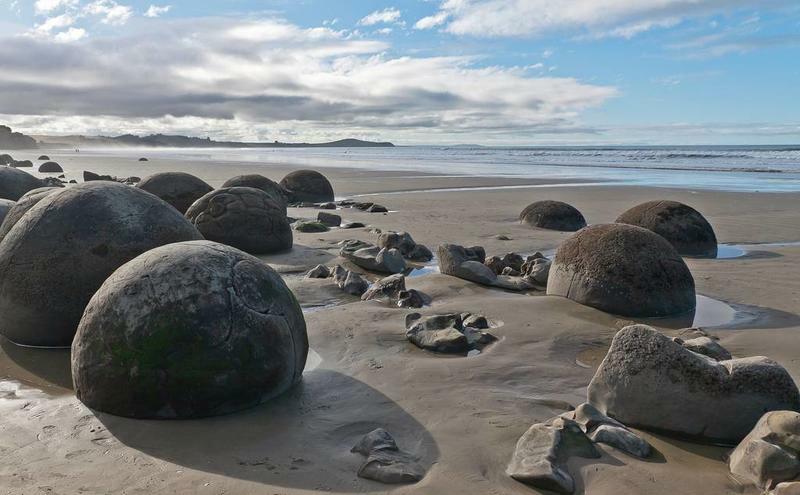 Found in a few places around the world, these are located on Koekohe Beach in New Zealand. Reaching as high as seven feet, they look like something you would see on the Flintstones -- huge stone bowling balls that Fred Flintstone used for bowling in the stone age except a lot larger. Maybe they were bowling balls for the giants or possibly dinosaur eggs. Masses of compacted sediment that was formed many years ago, formed these below the ground and then sand erosion caused them to rise to the surface. Analysis of these boulders revealed that the spherical stones consist of mud, fine silt, and clay held together by calcite. The larger boulders are believed by scientists to have taken 4-5 million years to grow. A kaleidoscope of luxurious colors, this gorgeous river is the most beautiful river in the world. Inspired by five different colors, it is also named the Liquid Rainbow and the River of Five Colors. The five colors of yellow, green, blue, black and red can be seen from the riverbed during July through November. 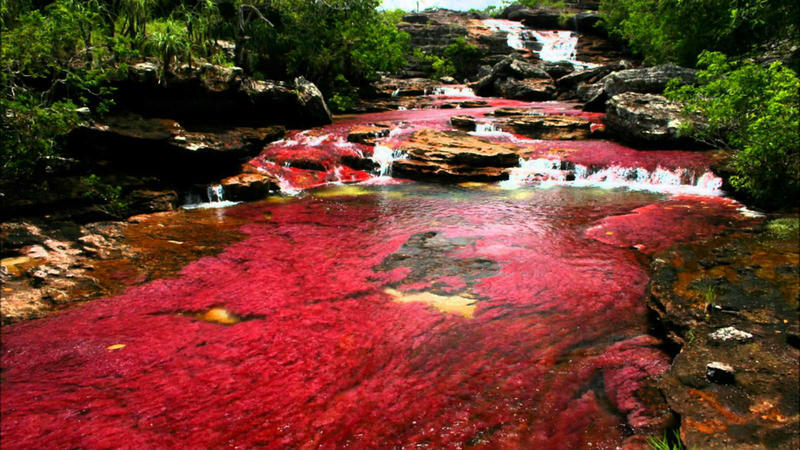 When the timing is right and the water reaches the right level, with the help of the plant, Macarenia clavigera, which causes the red color, an explosion of the lavish colors is created. The sun helps the plant, which is located on the river bottom, to bloom. According to geologists, the Quartzite rocks formed about 1.2 billion years ago. Cano Cristales flows pretty fast with a lot of waterfalls and rapids – a beautiful sight to behold. 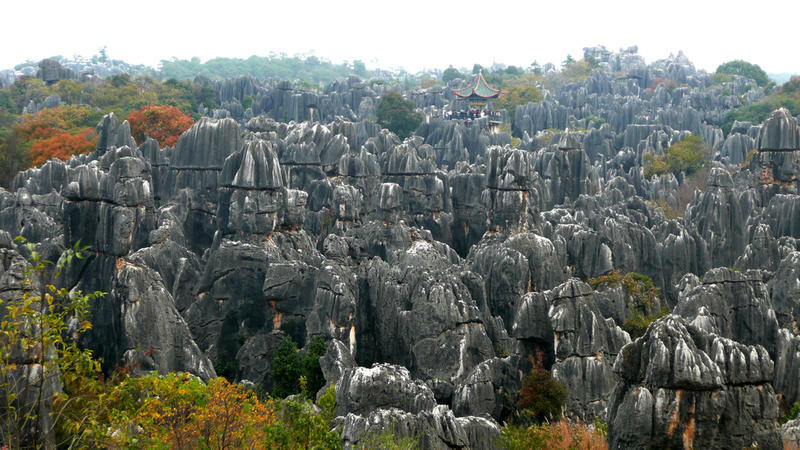 This unusual site has been known as the “First Wonder of the World” since the Ming Dynasty, which was 1368-1644. As you can see from the picture, the majority of the trees are completely hard as rock. The area, located in Yunnan Province which is almost 200 miles, at one time, was underwater many years ago, which caused limestone sediment to cover the floor of the sea. As the floor of the sea gradually rose, the waters of the sea dried up. The wind and rain caused the weak rocks to be eroded while the stronger limestone pinnacles began to take on the shape that you see. While the stone trees continue to grow upward, other regular leafy trees grow around them as well. First discovered in 1911, scientists believe they have solved the mystery of this strange phenomenon. When they first discovered these deep red falls, they had noticed that the river had stained the cliff. At that time, they chalked it up to algae but that was never proven. 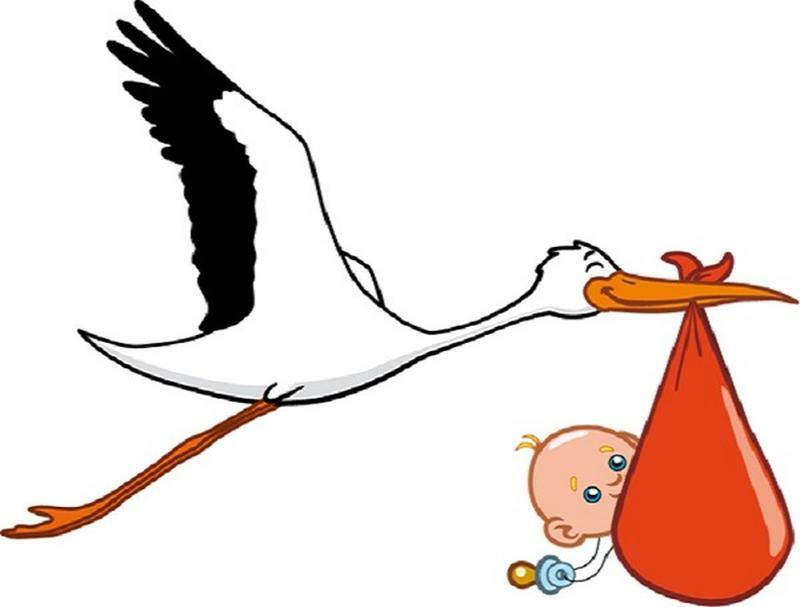 According to research done by the University of Alaska Fairbanks, they believe they now know the cause. They believe it is due to oxidized iron in brine saltwater similar to iron turning to rust. 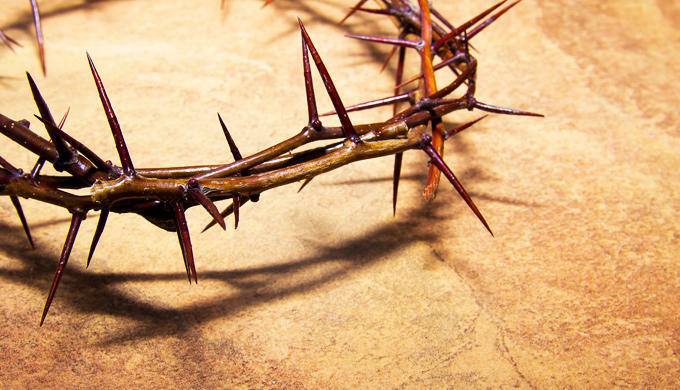 The iron oxidizes when the saltwater, with the iron on it, comes into contact with oxygen which causes the water to turn into the dark red color. Scientists calculated that it takes 1.5 million years for the brine water, which comes from the lake under Taylor Glacier, to reach Blood Falls. The world’s largest salt flat is located in Bolivia, stretching for 4,000 square miles. Believed to have been formed about 30,000 years ago, this prehistoric lake dried up leaving these white hexagon-shaped tiles. Providing over 25,000 tons of salt per year, not only do the local miners appreciate that but a 16 room hotel was made from the salt blocks. The salt contains sodium, potassium, lithium, magnesium and borax. 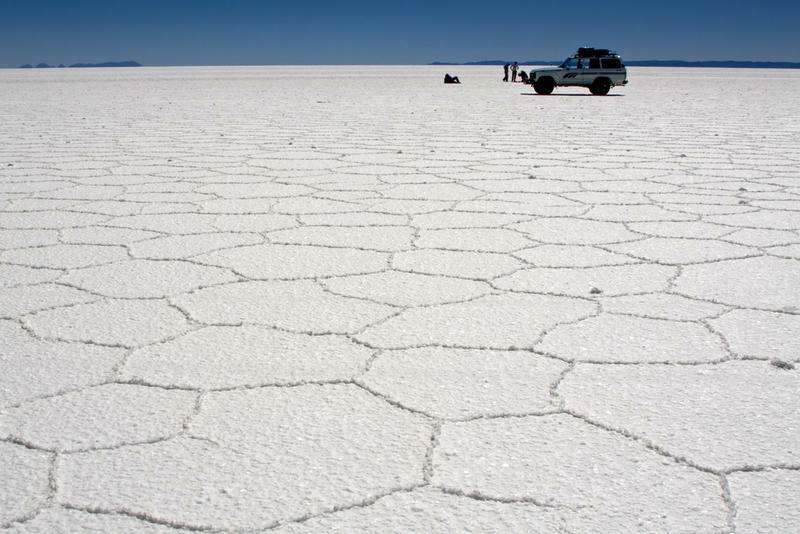 Lithium provides an essential component for electric batteries and with 9,000,000 tons, Bolivia has 43% of the world’s reserves with the majority being right here in Salar de Uyuni. For some reason, flocks of flamingos have made this their home.